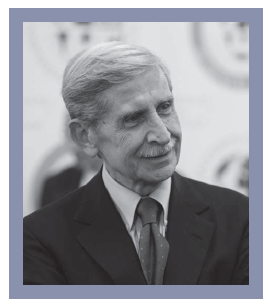 In the Cardiology Masters section of European Cardiology Review we bring you an insight into the career of a key contributor to the field of cardiology. In this edition, we feature Professor Carlo Patrono, Adjunct Professor of Pharmacology at the Catholic University School of Medicine in Rome, Italy, and at the Perelman School of Medicine, University of Pennsylvania, Philadelphia, USA. I was 17 when I decided I wanted to study medicine, but there was a time when I thought I wanted to pursue a diplomatic career. Born and raised in Rome, my parents had a very close friend who worked for an American organisation based in Geneva, so as a teenager, I would often visit Switzerland and be exposed to an international environment, which seemed to trigger an interest in a diplomatic career, but the prevailing influence was my father, who was a physician and endocrinologist, who talked to me about medicine, research and science. By the time I was 17, I was single minded about medicine. I also liked the idea of doing research that was immediately applicable to human beings, and was more interested in studying man rather than rats or rabbits, so I chose pharmacology straight after getting my medical degree; I felt that it was close enough to clinical medicine among the basic sciences to be a good starting point. Eventually, I contributed to developing clinical pharmacology in my own country. A few months later, I was fortunate enough to go New York to train as a Postdoctoral Fellow at the Bronx Veterans Administration Hospital with two outstanding scientists, Rosalyn Yalow and Solomon Berson, to learn what was a new technique at the time: radioimmunoassay. Based on what I had read, it looked like this new methodology could be a key step towards investigating various kinds of mediators in humans, by being able to measure very low concentrations of autacoids and hormones in blood or urine. Yalow received a Nobel Prize for her joint work with Berson on the discovery of radioimmunoassay in 1977, although sadly, Berson had died prematurely a few years earlier. It was a privilege working with them. I spent 2 years in New York (between 1969 and 1971) and during the first year, because Yalow and Berson were studying various peptide hormones related to diabetes. They asked me to start working on a peptide hormone called ‘glucagon’, and it was here that I became interested in prostaglandins. It was an incredible time in a very international lab, and after a brief interlude, when I went back to Rome to marry the love of my life, I returned with Angela for my second year there. At this stage, the focus was to apply the radioimmunoassay methodology that had been developed for measuring peptide hormones to a small molecule of lipid nature, that is, a prostaglandin. I did this by coupling this small molecule to human albumin to make it antigenic and recognisable by the immune system of guinea pigs that were injected with this conjugate to raise antibodies that would specifically recognise the small molecule attached to the large protein. By the end of 1971, when I went back to Rome, I had developed the very first antibody against a prostaglandin. It felt like I had a unique instrument in my hand. It was a lucky time for me as a pharmacologist, because that year, three papers were published in the same issue of Nature describing the inhibition of prostaglandin synthesis as the mechanism of action of aspirin and aspirin-like drugs. None of the known prostaglandins at the time had any influence on platelet function, so we had to wait a few years until a Swedish group, led by Prof Bengt Samuelsson, discovered thromboxane (TX) A2 as the main prostanoid produced by activated platelets that was inhibited by aspirin and had a potent pro-aggregatory action. Samuelsson subsequently shared the Nobel Prize with the British pharmacologist Sir John Vane, who had made the initial observation of inhibition of prostaglandin synthesis as the mechanism of action of aspirin. So that closed the loop; human platelets produce a prostanoid that makes them aggregate, and aspirin blocks the production of this prostanoid, TXA2. This was mid-1970s, the starting point of my research on the clinical pharmacology of platelet inhibition by aspirin, and of my interest in how this could influence cardiovascular disease (CVD). We then started developing antibodies against TXB2, a stable derivative of TXA2, and by the end of the 1970s, we had developed an original method to investigate inhibition of platelet cyclooxygenase (COX) activity, based on TXB2 production during whole blood clotting. My team of young students and post-docs and I were conducting pioneering studies at the Catholic University School of Medicine in Rome on the human pharmacology of platelet thromboxane inhibition by aspirin. We published the first paper in 1980 on the methodology of serum TXB2 measurement, and a second in 1982 describing the cumulative nature and biochemical selectivity of platelet TXB2 inhibition by low-dose aspirin. These papers were really the foundations of work establishing low-dose aspirin as a potential therapeutic strategy to prevent and treat CVD. During this time, a widely-held view was that aspirin acted as a potential antithrombotic agent at high doses taken three to four times daily (i.e. 1,000–1,500 mg daily), and this was based on a variety of platelet function tests, as well as on the idea that there were dose-dependent antithrombotic effects of aspirin unrelated to COX-1 inhibition. So when we proposed that what aspirin was doing was essentially related to the inhibition of thromboxane production requiring a single daily administration of a very low dose, as low as 30–50 mg, this was initially taken with a high dose of scepticism. I was convinced that the inhibition of prostanoid formation was the key mechanism of action necessary and sufficient to explain all of the major pharmacological activities of aspirin: analgesia, reduction in inflammation, the antipyretic and antiplatelet effects, as well as its gastrointestinal toxicity. There was another rationale for favouring low-dose aspirin: in 1976, Sir Salvador Moncada and his colleagues had discovered that vascular endothelial cells produce another prostanoid called prostacyclin (PGI2), which has opposite effects to those of TXA2; it prevents platelet aggregation and relaxes blood vessels. Therefore, it seemed logical to try to find out how to separate these two potential effects of aspirin, by selectively inhibiting platelet TXA2 production, while sparing vascular PGI2 biosynthesis. Our studies of low-dose aspirin took place at a time when a big trial, called the ‘Aspirin Myocardial Infarction Study’ (AMIS), was published. It was a multicenter, randomised, double-blind, placebo-controlled trial of 1,000 mg of aspirin daily in over 4,500 men and women who had had a documented MI. It was a total fiasco; total mortality, which was the primary endpoint of the study, was numerically higher in the aspirin-treated patients compared to the placebo-treated group, and routine use of aspirin after MI was not recommended as a result. Our 1982 Journal of Clinical Investigation (JCI) paper, entitled ‘Selective cumulative inhibition of platelet thromboxane production by low-dose aspirin in healthy subjects’, demonstrated that if you substantially lower the daily dose of aspirin, you can completely inhibit platelet thromboxane production and not interfere with the production of prostacyclin. Dose-dependent inhibition of prostacyclin biosynthesis, as characterized by Garret FitzGerald in a 1983 JCI paper, could hamper the antithrombotic effect of aspirin and be responsible, at least in part, for the negative findings of the AMIS trial. This was an amazing time, and it was around then that I met my colleague and friend Garret FitzGerald, an Irish-born clinical pharmacologist doing similar aspirin studies at Vanderbilt University in Nashville, based on measurements of urinary prostanoid metabolites. There was also another group led by haematologist Philip Majerus at the Washington University in St Louis that had discovered the molecular mechanism of platelet COX-1 inactivation by aspirin, and was looking at the human pharmacology of platelet inhibition with a different methodology, based on indirect measurements of the extent of acetylation of the platelet enzyme. So by the mid-1980s, three independent groups using different methodologies concluded the same thing: that a single, daily, low dose of aspirin could completely block this important pathway of platelet aggregation. I met Garret FitzGerald at an international pharmacology meeting in Japan in 1981, and we realised that we were competing with each other, but after a few discussions and mutual visits decided that it would be interesting to collaborate in studying thromboxane biosynthesis and metabolism in man. This was the start of a very long friendship that is lively and vivid today. It was our independent work on the development of low-dose aspirin as an antithrombotic drug that was the reason we were jointly awarded the 2013 Grand Prix Scientifique by the Institut de France, perhaps the most prestigious award in the field of cardiovascular research. Receiving the Grand Prix Scientifique in the beautiful setting of the Institut de France in Paris was probably one of the most gratifying moments in my scientific career. Going back to the mid-1980s, probably one of the most important trials in cardiovascular research was set up in Oxford by a multidisciplinary team led by Sir Rory Collins, Sir Richard Peto and Prof Peter Sleight: The International Study of Infarct Survival-2 (ISIS-2), a randomised, placebo-controlled trial of streptokinase, aspirin (one-sixth of the dose used in AMIS), both or neither in over 17,000 patients with a suspected acute MI. For the first time, it was shown that lowdose aspirin once daily was effective and safe in reducing vascular mortality at 5 weeks by approximately one-quarter, which was quite an impressive (and perhaps unexpected) finding. It also demonstrated an additive effect of using both aspirin and streptokinase, reducing vascular mortality by approximately 40 %. ISIS-2, published in The Lancet in 1988, established a new treatment paradigm in acute MI. It also made three important points: (i) coronary atherothrombosis is a dynamic process; (ii) platelet TXA2 production plays an important role in this process; and (iii) low-dose aspirin is a life-saving drug. There has since been a flow of other randomised studies testing the efficacy and safety of low-dose aspirin for the acute treatment and long-term prevention of both coronary and cerebrovascular atherothrombosis. Given the largely independent nature of these clinical trials, mostly funded by research grants, it became important to promote dissemination of their knowledge and implementation of their results. I played an active role in this endeavour, by participating in the Antithrombotic Trialists’ Collaboration that performed several collaborative meta-analyses of randomised trials of antiplatelet therapy for the prevention of death, MI and stroke in high-risk patients, under the leadership of Prof Colin Baigent; by acting as the Antiplatelet Chapter Chair of the American College of Chest Physicians Conference on Antithrombotic and Thrombolytic Therapy, which periodically summarised the evidence for the efficacy and safety of low-dose aspirin (and other antiplatelet agents) in different clinical settings, translating the evidence into treatment guidelines, under the leadership of Prof Jack Hirsh; and chaired or co-chaired various task forces of the European Society of Cardiology, with a similar scope. During the past 10 years, together with Prof Bianca Rocca, we have revisited the clinical pharmacology of low-dose aspirin in different patient populations at high cardiovascular risk to verify the actual occurrence of ‘resistance’ to its antiplatelet effect, as described by an impressive number of studies published in respected cardiology journals. In contrast to the highly-variable results of platelet aggregation measurements, true pharmacological resistance to the COX-1 inhibitory effect of low-dose aspirin is a very rare phenomenon in patients who actually take aspirin and do not concomitantly take other non-steroidal anti-inflammatory drugs (NSAIDs; e.g. ibuprofen or naproxen) that might interfere with aspirin pharmacodynamics. However, our studies have characterized substantial interindividual variability in the rate of recovery of platelet TXA2 production during the 24-hour dosing interval in clinical settings characterised by accelerated renewal of platelet COX-1, such as type-2 diabetes mellitus and essential thrombocythemia. This abnormal biochemical phenotype could be reversed by twice daily dosing of aspirin 100 mg, but not by doubling the once daily dose. These findings have led to new clinical trials being initiated to test the clinical efficacy and safety of this novel dosing strategy. Soon after the withdrawal of rofecoxib (Vioxx), announced on 30 September 2004 because of clear evidence of a cardiovascular hazard associated with selective COX-2 inhibition in a colorectal adenoma prevention trial (APPROVe), together with Colin Baigent, with whom I shared common research interests, complementary expertise and a long-standing friendship, we initiated the Coxib and Traditional NSAID Trialists’ (CNT) Collaboration to gather individual patient data from all randomised trials that recorded the gastrointestinal and cardiovascular complications caused by COX-2 inhibitors. This was meant to address a series of open questions concerning the benefit/risk profile of individual inhibitors, both the newer coxibs and traditional NSAIDs, such as naproxen, ibuprofen and diclofenac. The results of the CNT meta-analyses represent the most comprehensive source of information for evidence-based regulatory action and treatment guidelines. The main paper we have published in The Lancet (2013) demonstrates that the increased risk of atherothrombotic complications (mainly coronary events) is not just a problem of the newer COX-2 inhibitors, but is shared by some traditional NSAIDs, in particular diclofenac and ibuprofen, that do not adequately inhibit platelet TXA2 production while suppressing vascular PGI2 biosynthesis. This ultimately led to some regulatory revisions and restrictions of these drugs for people with high cardiovascular risk by the US Food and Drug Administration and European Medicines Agency. Mechanistically, these findings are consistent with an important role of COX-2-dependent PGI2 biosynthesis in endothelial thromboresistance, as characterised by the pioneering studies of Garret FitzGerald in the late 1990s. I became interested in the evidence for an association between NSAID use and the reduced risk of colorectal cancer (CRC) by listening to and collaborating with expert epidemiologists, such as Michael Thun and Luis Garcia Rodriguez, and gastroenterologists, such as Angel Lanas. When Thun and I reviewed the mechanistic, pharmacologic and clinical issues related to NSAIDs and cancer for the Journal of the National Cancer Institute in 2002, we emphasised the apparent lack of a dose-response relationship in many studies that investigated the chemopreventive effect of aspirin. It came to my mind that perhaps aspirin was working in cancer prevention through a mechanism analogous to coronary disease prevention, that is, by inhibiting platelet activation and downregulating the participation of platelets in tissue repair, angiogenesis and immune response. So I started developing the idea that the inhibition of platelet activation at sites of mucosal injury throughout the gastrointestinal tract might be a relevant mechanism of action of lowdose aspirin in the initial stage of colorectal carcinogenesis, and that by interfering with this early event, it could prevent the development of CRC. This idea was first articulated in a 2001 JCI review article written with Paola Patrignani and Luis Garcia Rodriguez. Then came at least four placebo-controlled, randomised studies, published between 2003 and 2008, that to some extent confirmed this hypothesis by showing that low-dose aspirin (as low as 81 mg, the lowest dose on the US market) could prevent the recurrence of colorectal adenoma in people who had their sporadic colorectal adenoma removed at screening colonoscopy. Subsequent studies by Prof Peter Rothwell in Oxford addressed the question of what happened in people randomised to receive aspirin or placebo for cardiovascular prevention in terms of long-term cancer incidence and mortality. Rothwell et al. published several papers in The Lancet from 2007 up to 2012, which showed that over long-term follow-up, there was a lower incidence and mortality from CRC and other cancers in people who had received aspirin for 3–5 years compared to people who had received placebo for the same duration. Interestingly enough, this apparent chemopreventive effect was detectable in aspirin trials using as low as 75 mg daily, and there was no convincing evidence that higher doses (<1,200 mg daily) were more effective. These interesting observations provided further stimulus to collaborative mechanistic studies performed by Prof Paola Patrignani at the University of Chieti-Pescara (Chieti, Italy) and Prof Angel Lanas at the University of Zaragoza (Zaragoza, Spain). Understanding the mechanism of action of low-dose aspirin in CRC prevention is currently attracting a renewed research interest of many scientists, and both animal and human studies are addressing this puzzling question through international multidisciplinary collaboration. Eventually, this could lead to characterising common mechanisms of disease in coronary atherothrombosis and CRC, and perhaps opening a new dimension to antiplatelet drug therapy. I have enjoyed pursuing these different lines of research through international collaboration, which has always been important in my scientific career. In fact, some of my best discussions have taken place while running with colleagues at conferences. I have been running long distances, including taking part in marathons, and found that not only has it been instrumental in seeing new places but also a great way to exchange ideas under the influence of increased endorphins, which seem to help the unrestrained flow of novel ideas. Garret FitzGerald and I have run together in many parts of the world and shared some interesting scientific and political discussions. If I could offer advice for young people entering the field of medicine/ pharmacology, I would say try to be persistent in what you do, and try to pursue your ideas through multidisciplinary collaboration. Also be aware that it is essential to develop scientific independence from your mentor and to get funded for what you want to do, so spend enough time learning how to write a proper grant application. And finally, while competition is inevitable in biomedical research, collaboration is an important key to success. Research is a wonderful and rewarding career, because it allows you to pursue your own scientific curiosity, and potentially have an impact on the health of many people worldwide. I have had the privilege of working in Rome and Chieti with a team of talented scientists and clinical investigators, including Giovanni Ciabattoni, Paola Patrignani, Giovanni Davì, Bianca Rocca, Francesca Santilli, Dario Pitocco and Alfredo Dragani. Their generous dedication and resilience should be credited for our contributions to the field of aspirin research.